Did Your Elderly Parent Get a DUI in Los Angeles? An older person that you love – a mother, father, aunt, uncle, or close friend – recently got arrested for driving under the influence in Los Angeles. You’d love to help that person deal with her situation. But you’re confused about how to approach the process respectfully. On the one hand, the revelation that the police pulled him or her over on the 134 (or wherever) fills you with sadness and fear. What if she had really gotten hurt or hurt someone else? On the other hand, you feel helpless. We all remember the horrendous incident several years ago when an octogenarian man plowed into a farmers market in Santa Monica and killed nearly a dozen people. The man thought he had hit the brakes, when he had really hit the accelerator. That incident sparked a big debate in the Southern California DUI defense community about what should be done to protect people from dangerous senior drivers. 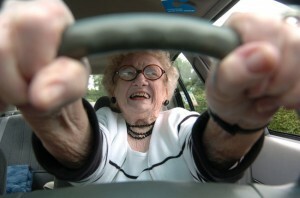 Obviously, we want to dignify and respect older drivers and give them as much mobility and independence as possible. Nevertheless, if/when they can no longer physically operate their vehicles safely, something needs to be done. Unfortunately, concerned children of elderly parents, for instance, are often unable to convince their moms and dads to stop driving — or even to at least adopt safer driving habits. Discussions over something as seemingly innocent as how often your mother drives (and what she does behind the wheel) can quickly escalate and, like psychological fireworks, set off issues and hurtful conversations that date back decades.